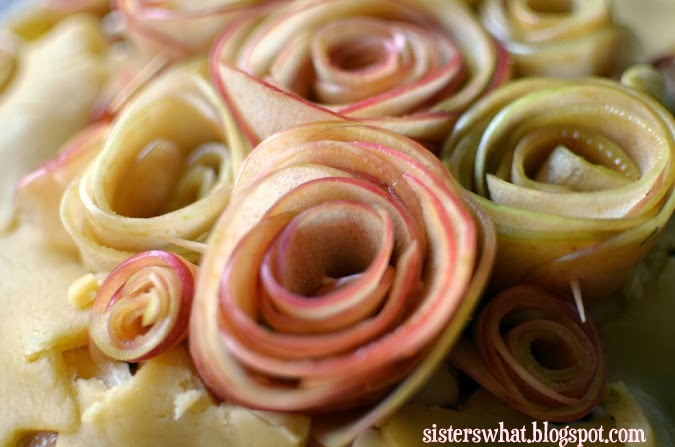 ' Apple Rosette Pie - Sisters, What! I know Thanksgiving was a couple weeks ago but it is too good not to post. 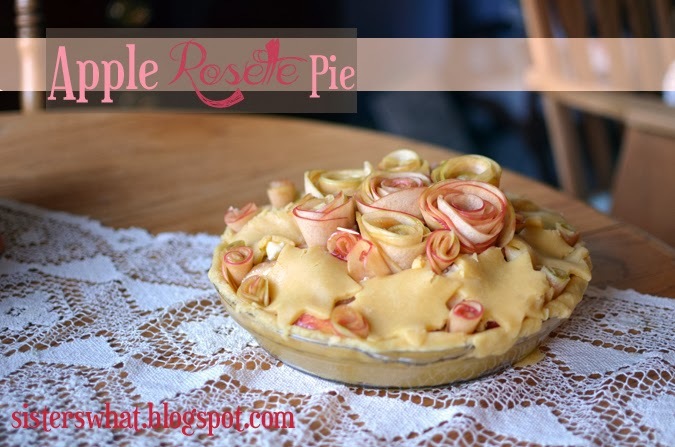 Now I got the idea for the top of this pie from Pinterest. Obviously I did it a little differently but I still think it turned out great, and it was fun to do. Now if you are one of those who gets scared by big baking projects take it from someone who gets scared also. But this was so much fun. So don't be scared, try it. Recipes for crust and filling are located below. Now these recipes are from my sister Anjuli. 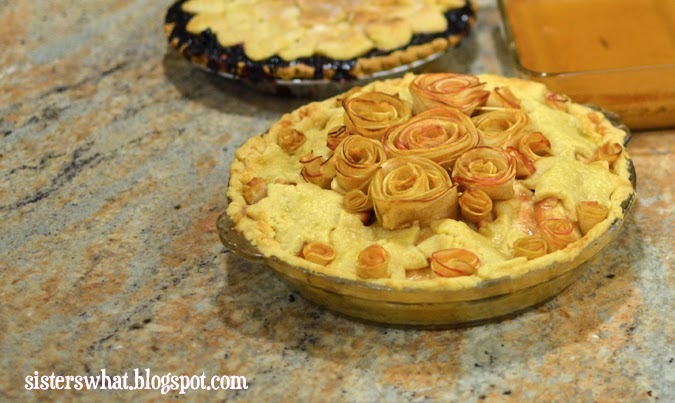 She is the pie master in our family and has been using these recipes for years. So delicious. In a mixing bowl mix together the first four ingredients. Cut in Shortening till they resemble small peas. Combine egg, water and vinegar in separate bowls. Sprinkle four tbsp of egg mixture and mix slightly with fork. Add more egg mixture until you have moist dough just holding together. Gather dough together with hands and then press into ball. This makes three crusts, two bottoms and one top. Pare, core, slice apples. 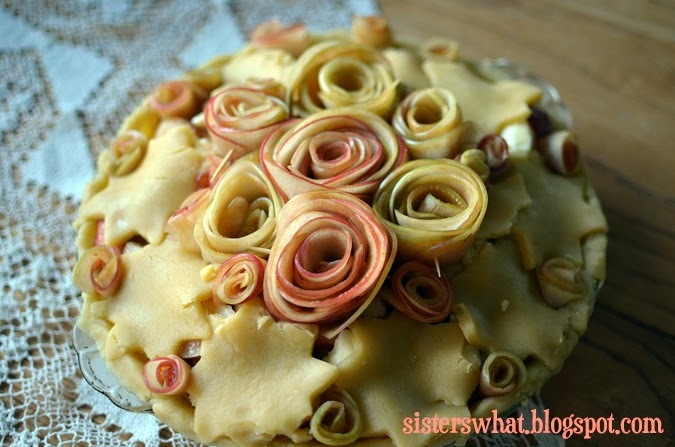 Toss with mixture of sugar, flour and cinnamon. Put into pastry lined nine inch pie pan. Dot with butter. Cover with top crust and seal eggs. Cut slits for escape of steam. Bake at 350 degrees for 30-40 minutes (for glaze mix egg white and sugar for after you cut slits). If you have any questions make sure you ask!! !